To ensure you can use one packet of block salt at a time – when one salt block is lower than the other switch the block around in the softener this should then even out allowing both blocks to be added on top. 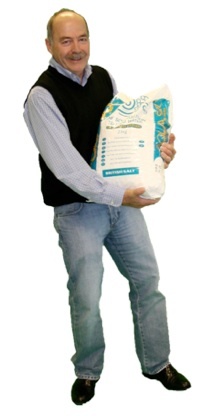 Block salt water softeners make handling your salt much easier. The blocks are lighter to handle than the traditional tablet salt and easier to store. To find out more please call the office 0844 800 6568 or visit the rest of our website.